The Work From Home Mother: I Have Been Awarded the Marie Antoinette Award! 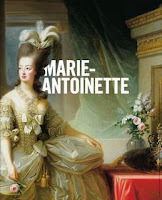 I Have Been Awarded the Marie Antoinette Award! I want to thank Liza over at Mommy's Little Corner for this Marie Antoinette award. According to Liza, Queen Marie Antoinette, is the epitome of a real, fun, fearless woman who is never afraid of getting what she wants. I want to pass this on to Mia, a fellow blogger at GeneralHysteria.com who I feel deserves this award. Mia is a mother to 3 children, one with special needs and she has a wonderful blog that talks about her everyday life and how she copes.